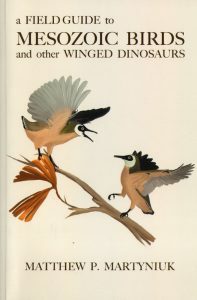 Field guide to Mesozoic birds and other winged dinosaurs. 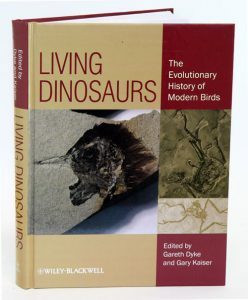 An interesting companion guide to palaeo-birdwatching including information on bird evolution and comparative anatomy and biology of the first birds. 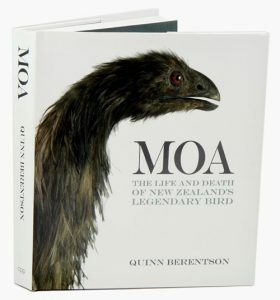 Moa: the life and death of New Zealand’s legendary bird. 2013 Winner of the Royal Society of New Zealand Science Book Prize. Perhaps the most unusual and unique family of birds that ever lived, the moa were a clan of feathered monsters that developed in isolation for many, many millions of years. They became extinct reasonably quickly after the arrival of the Maori, and were a distant memory by the time European explorers arrived. So the discovery and identification of their bones in the 1840s was a worldwide sensation, claimed by many to be the zoological find of the century. This book begins by recounting the story of discovery, which was characterised by an unbelievable amount of controversy and intrigue. Since then there has been an unbroken chain of new discoveries, culminating with intriguing revelations in recent years about the Moa’s biology, that have come to light through DNA testing and radio-dating. This is a fascinating and important book that richly recounts the life and death of New Zealand’s strangest bird. Living dinosaurs: the evolutionary history of modern birds. Artist/Author: Dyke, Gareth and Gary W. Kaiser. Offers a snapshot of our current understanding of the origin and evolution of birds. After slumbering for more than a century, avian palaeontology has been awakened by startling new discoveries on almost every continent. Controversies about whether dinosaurs had real feathers or whether birds were related to dinosaurs have been swept away and replaced by new and more difficult questions: How old is the avian lineage? How did birds learn to fly? Which birds survived the great extinction that ended the Mesozoic Era and how did the avian genome evolve? Answers to these questions may help us understand how the different kinds of living birds are related to one another and how they evolved into their current niches. More importantly, they may help us understand what we need to do to help them survive the dramatic impacts of human activity on the planet. 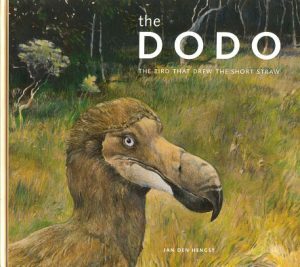 This book allows the reader to examine various eyewitness writings, drawings, paintings and skeletal remains, which depict the Dodo as it actually was, and helps us to understand how it was driven to extinction. It also traces what happened after the final demise of the bird, and how worldwide evidence was pieced together to provide a reasonable idea of how the Dodo lived and died. In spite of the immense interest in the dodo, which has been extinct for more than 300 years, we are still unsure about its exact appearance. There have been several attempts to reconstruct the dodo on the basis of 17th century portraits, resulting in the flabby, monster like creations that we all recognise. The physical remains of the dodo that are left to us are very limited, but have been exhaustively studied by various “dodologists” through the years, and it seems unlikely that modern science can throw any more light on the question of the dodo’s appearance. The key to learning about what the dodo really looked like lies in art history. Until now, no one has taken the trouble to analyse and compare the 17th century illustrations. 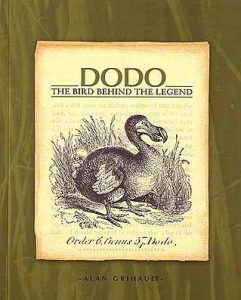 The Dodo: The Bird That Drew the Short Straw aims to do exactly that, by presenting eye-witness accounts of the time and along with abundant paintings, drawings and watercolours the author has made it possible to reconstruct an accurate portrait of the dodo. Artist/Author: Currie, Philip J. et al. Meat-eating theropod dinosaurs have been recognized as potential ancestors of birds since the 19th century, but it was not until the 1960s that work on Deinonychus revealed the startling similarities between dinosaurs and birds. 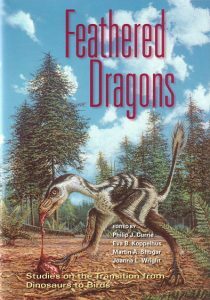 With each new small theropod find the ties became stronger, until the discovery of Sinosauropteryx  a dinosaur with feathers. Though not all scientists accept the concept of birds being phylogenetically nested within the Dinosauria, others are now focusing on the evolution of feathers and avian flight. This book presents 15 new pieces of research, including the first detailed description of Bambiraptor, a remarkable new specimen from Montana.